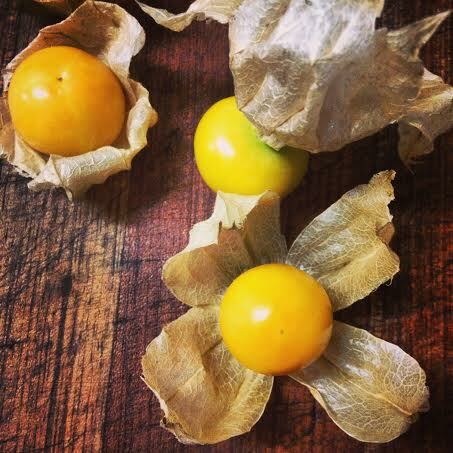 The ground cherry has a lively flavor that is at once sweet and acidic, like pineapple or tomato. 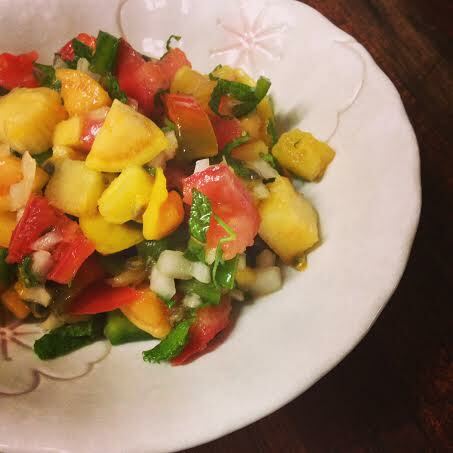 The local farmers markets are flush with beautiful fruits, so I wanted to make a fresh fruit salsa. Cut the tomato and let it drain over a sieve for 15 minutes to get rid of the extra water. 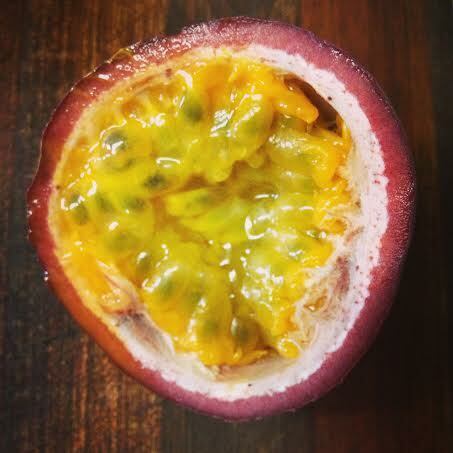 Cut open the passion fruit. Scoop out the insides and toss together with all other ingredients. 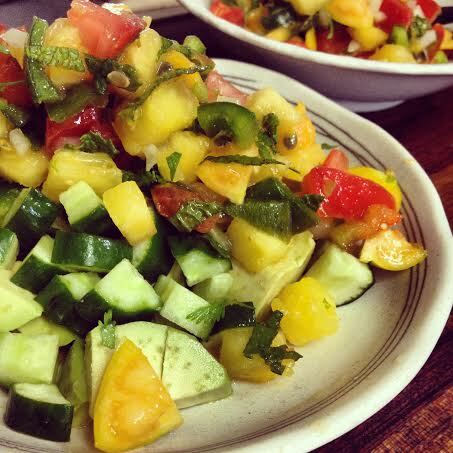 Serve over chopped avocado and cucumber or a simple green salad. 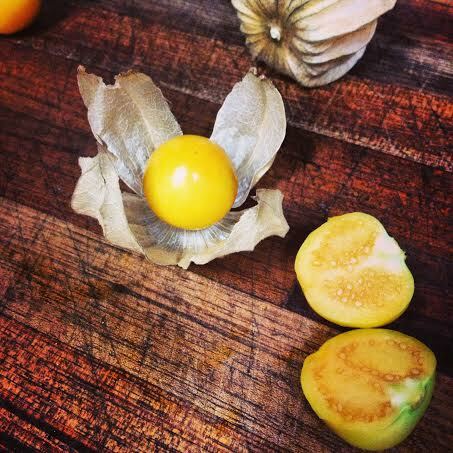 Vata – Give this a quick sauté to help with digestion and add warmth to this dish. Pitta – Find the willpower to resist the hot peppers. Kapha – Feel free to make your pitta friends jealous and add extra jalapeno! 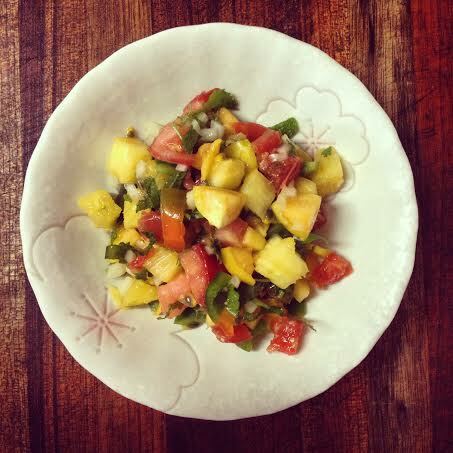 This entry was posted in Ayurveda, Food, Local Food, Okinawa Foods and tagged Ayurveda, fruit salad, ground cherry, hoozuki, houzuki, passion fruit.